In which we brutally review five of London's cuddly — and not-so cuddly — mascots. It's no exaggeration to say Wenlock and Mandeville rewrote the mascot rule book. Part cyclops, part taxi and part Flump, the 2012 London Games mascots famously stirred up controversy in the lead-up to the event, with outcries about them being 'offensively terrible' (and that was just The Guardian). But isn't it obvious? Like Ant and Dec, these two were clearly invented to piss off half the population. 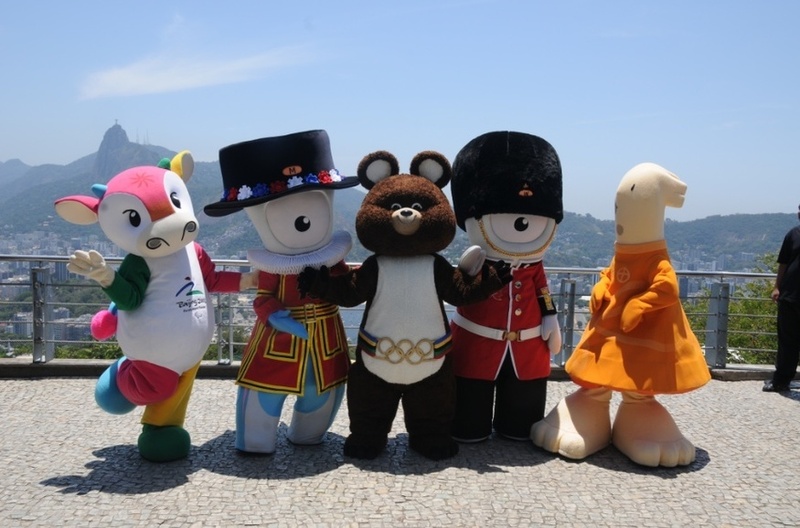 If you need any more proof that Wenlock and Mandeville are the coolest mascots this city's ever seen, see how they hold their own when set among the trio of fuzzy freaks, in the image above. Honest to god, that bear is going to happy cuddle you and your family to death. 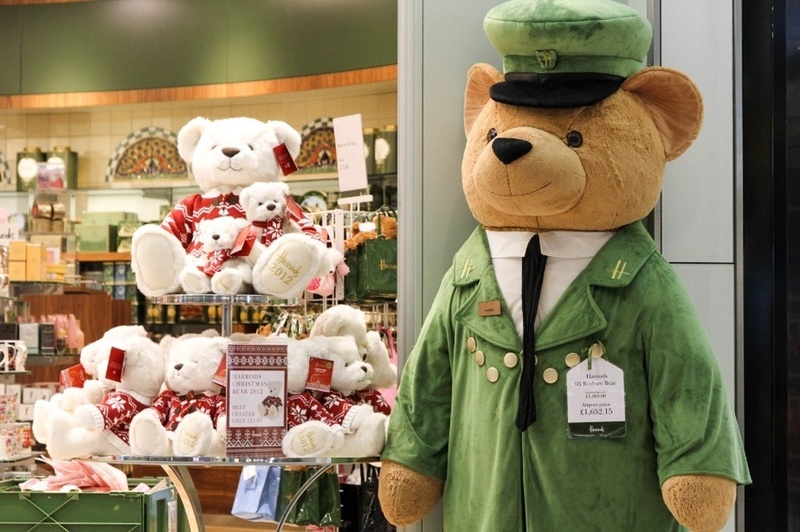 At first glance, the Harrods mascot Rodney Bear is a right cutie pie. But if you're thinking of giving him a squeeze, think again. Has no one noticed what's going on here? Dressed in his Harrods doorman uniform, Rodney is a human security guard hiding in plain sight. If you so much as toy with the idea of pocketing one of those Harrods key rings, Rodney will be down on you like a furry ton of bricks. It is surely no coincidence that other Rodneys appear at London's airports and train stations — sometimes dressed as policemen. One day soon Rodney will probably thwart a terrorist attack. It's frankly ingenious. We are, however, going to dock Rodney one star because we've freaked ourselves out with the conspiracy we've just created. We don't care if the Aussies were laughing into their beer. The sheer audacity of turning an already-bizarre trophy into a soft-man sized live action cartoon, for the 2015 Ashes at Lord's, is inspired (you can't help but feel Wenlock and Mandeville paved the way for such maverick moves). 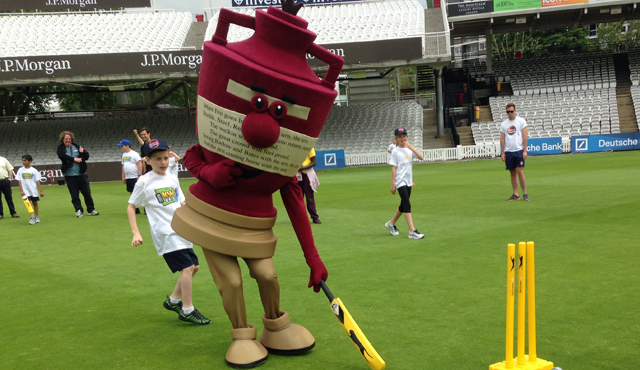 And this mascot is called Ernie... Urn-ie... geddit? We do, however, reckon Lord's could have found an even better mascot in Old Father Time — although maybe they were worried about people confusing it with Steve Bannon. 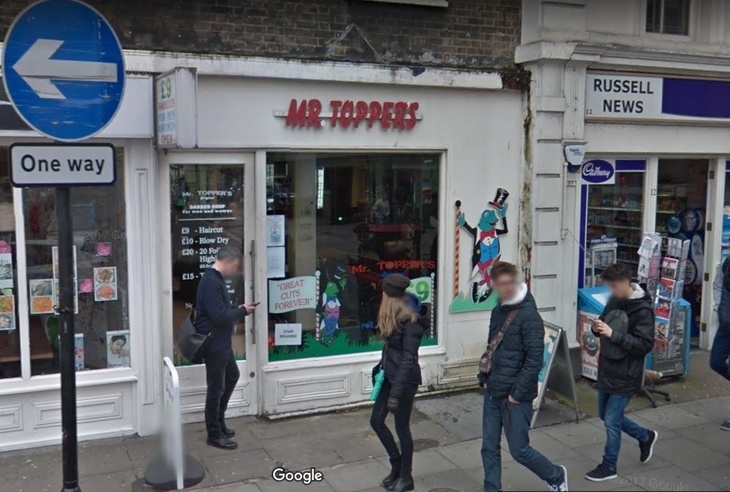 We'll assume this mascot's name is Mr Topper anyway, seeing as he's pictured doffing his top hat at bargain barbers across London, which all go by the name Mr Topper's. Huffington Post once described the £9 haircuts in these joints as 'the worst in London'. While we can't comment on that (we pay £7 for ours), it's impossible to ignore that Mr Topper is not only a poor man's Kermit, but a bald one at that. An odd mouthpiece for a business that deals almost exclusively in haircuts, you would have thought. But it's the top hat that does it for us. That's like having a mascot for a beauty parlour wear a balaclava. 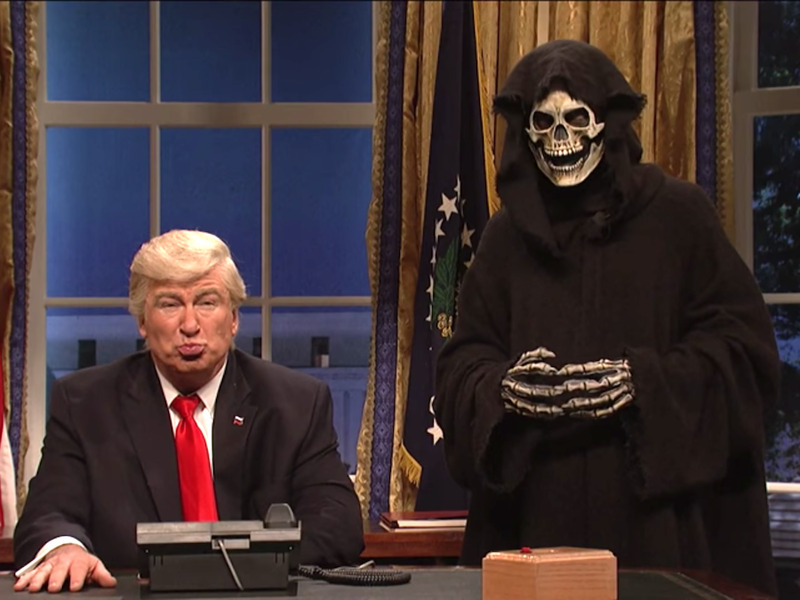 Something's awry. 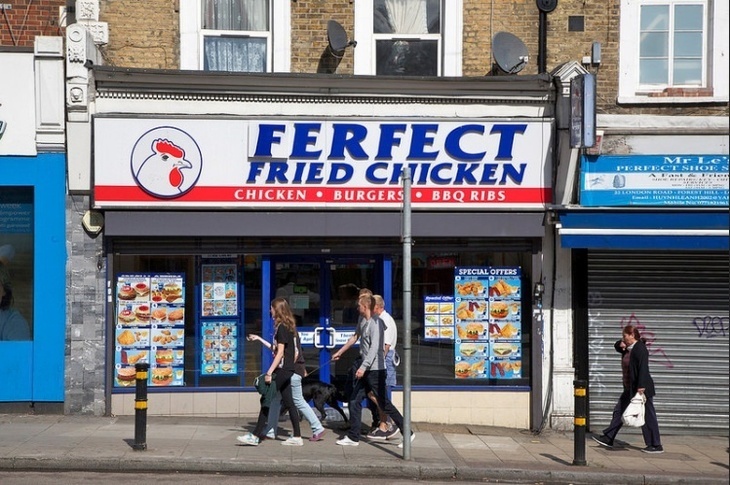 While we bow to the superior sign-making skills of Mr Chicken, it's tough to fathom what chickens are doing peddling (or should that be hawking?) poultry meat the length and breadth of London. Either they've been threatened with the prospect of becoming a stoned student's supper if they don't comply, or they've chosen a very dark, cannibalistic route in life. Come to mention it, some of these mascots — we're looking at you Mr Dallas Chicken & Ribs, in your stetson hat — do seem to take a grim pleasure in their marketing duties. All of a sudden, Mr Topper seems alright. What's your favourite London mascot? Which one creeps you out the most? Tell us in the comments.